The Trumpet Straight Mute by Gear4music gives a warm, rich sound, without affecting the pitch or intonation of the instrument. With a classic shape, brass construction and cork pads for a snug fit in the bell, it offers great value for money. A great quality, all-rounder straight trumpet mute from Gear4music. With a classic shape and brass construction, it gives a warm and rich sound, without affecting the pitch or intonation. 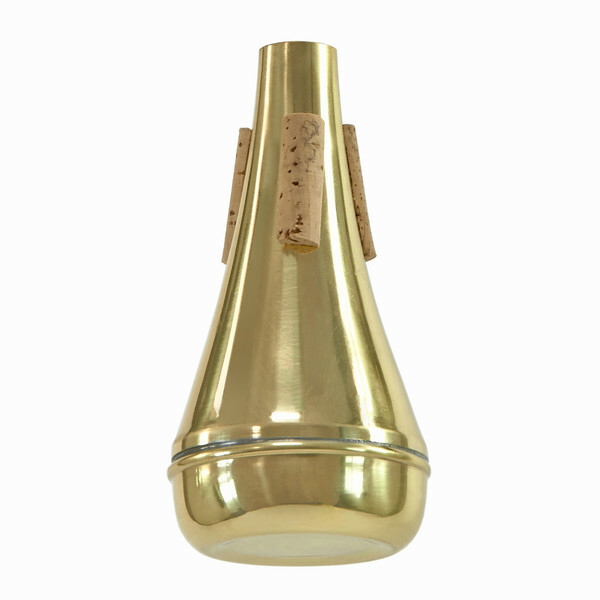 With cork pads it will fit snugly into your trumpet bell without causing any damage. A great value addition to any trumpet players arsenal.